Home > > How do I post a message? You are here: Home / Topics / How do I post a message? Home › Forums › Forum Help › How do I post a message? This topic contains 2 replies, has 2 participants, and was last updated by John 3 years ago. Below the message you are posting, you will find a button to upload an image. Click Browse to find the photo on your computer, and then Submit your message. 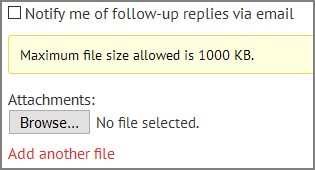 Maximum size is 1 Megabyte, so you might have to resize the photo before uploading. You can also add a photo by linking to it, using the IMG button above. Will it be displayed the right size or do I have to edit it? To start a new topic, choose a forum from this page and then scroll down to below the current topics. There you will be able to “Create New Topic”.